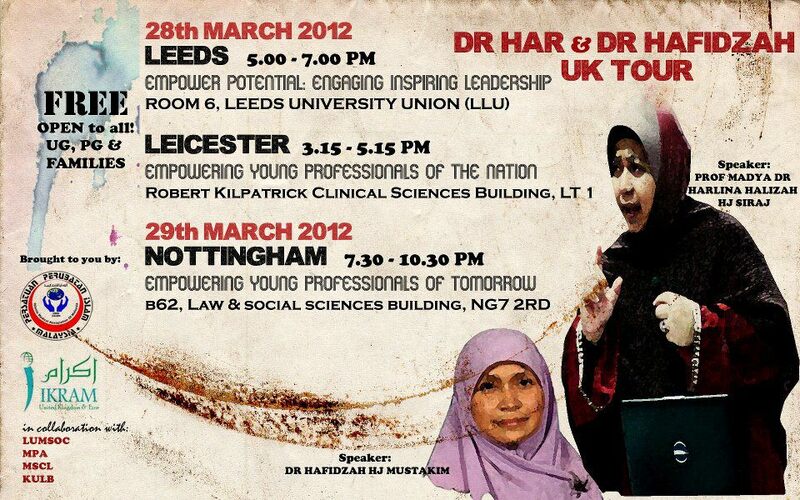 Alhamdulillah, The much awaited event is now in Cairo ! All praise and Thanks to Allah swt ! Very Timely ! Prof Madya Dr Harlina Siraj and Dr Hafidzah Mustakim are coming to meet our Malaysian Medical Students in Egypt. Despite of their busy schedule after meeting our truly Malaysian Students in UK and Ukraine, Egypt surely will not be missed out…. Thanks for making the time to inspire all our Medical students in Egypt ! May Allah swt blesses both of u always…. What Medical Students Should Know? 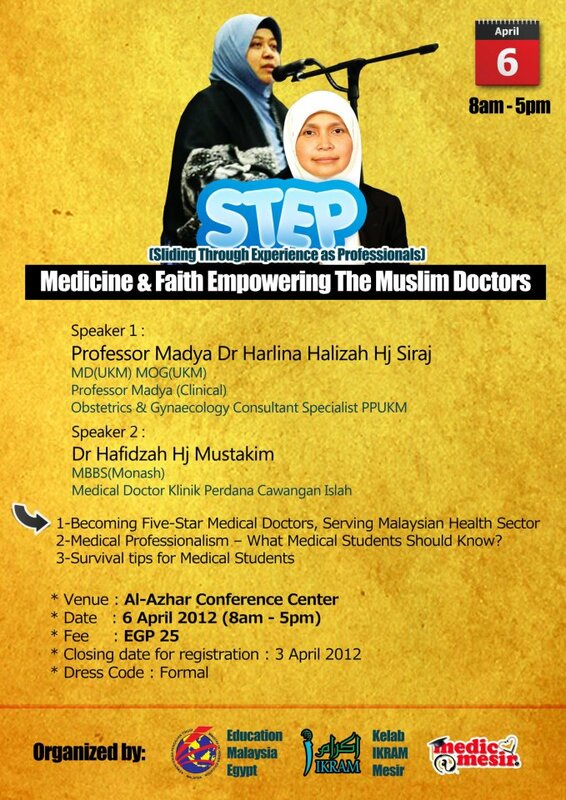 To all Medical Students in Egypt, pls register yourself here ! The event is OPEN to ALL…and NOT LIMITED to MEDICMESIR!